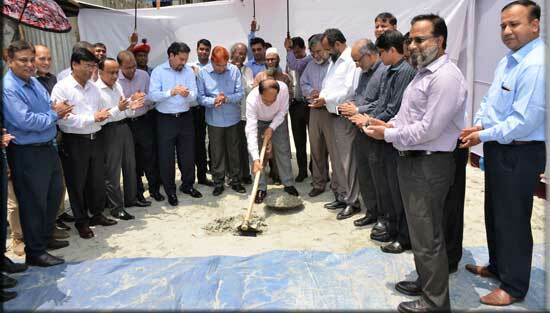 The officials of PKSF and its Contractor firm Concord Engineers & Construction Ltd joined a Dua Mahfil Ceremony with fervor on may 15, 2018 for Earth Breaking of construction work of 13 storied with 4 basements Display & Sale Centre (Bhaban) of PKSF at Shyamoli, Dhaka. The function was chared by Dr. Jashim Uddin, DMD (Admin), PKSF. The honorable MD of PKSF Mr. Md. Abdul Karim was the Chief Guest in the occasion. 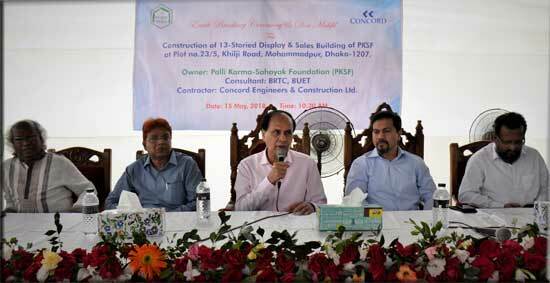 Besides MD of Concord Group, Mr. Shariar Kamal, Dr. Abdul Jalil, Consultant, BRTC-BUET, Mr. Md. Fazlul Kader, DMD (Program), Mr. Golam Touhid, DMD (Finance) and Professor Shafi Ahmed, Senior Editorial Adviser of PKSF were also present in the inaugural session. Apart from those, other top rank officials of PKSF & Concord Group also participated in the Mahfil.